Insurance is an important facet of anyone’s life, but did you know that an independent agent can save you money? As you enter the world of financial freedom and security, there is one facet about adulthood which may make you, and many adults, cringe. Many people feel that insurance is a monthly waste of money and often opt to go with the policy that only satisfies their legal requirements. The only drawback is that this limit can prove to be insufficient when it comes to your insurance needs. Here’s how an independent agent can save you money. One of the ways that large corporations trick you into spending more money than you have to is by telling you that you need more insurance than you actually do. It goes without saying that the more insurance you buy, the more you spend. An independent insurance agent, while motivated by commission, knows that your satisfaction and continued business in the long-run is more important than making a few bucks in the short-term. The best way to ensure you are getting the best rate is by comparing quotes from one company to another’s. The only drawback is that in order to get a quote, you have to input a lot of tedious information which can be extremely time-consuming. An independent agent can give you various quotes from multiple insurance companies with the click of a button. Filing a claim alone can feel all but impossible. An independent insurance agent helps you with every step and can even make the process a breeze. Insurance does not have to be the nightmare that many people think it is. An independent insurance agent can save you not only time, but they can save you money. 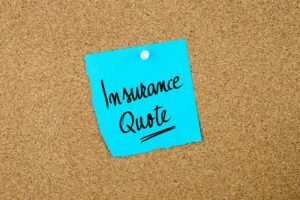 To get a quote for all of your insurance needs, contact Pierce Insurance Group today!